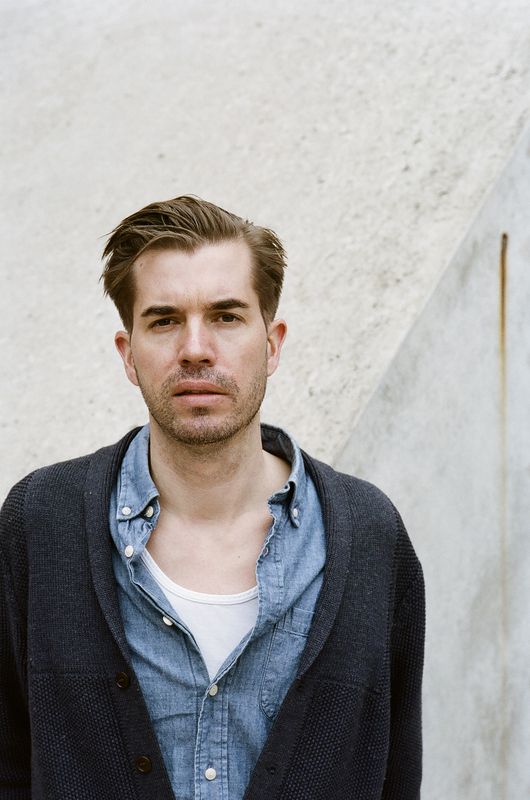 Markus Miessen (*1978) is a registered architect, spatial designer, consultant and writer. Miessen studied at Glasgow School of Art (BArch), graduated from the Architectural Association in London with Honours (AADiplHons) and received a Master in Research degree from the London Consortium (MRes). He defended his PhD at the Centre for Research Architecture at Goldsmiths, London, in 2015. Miessen is a Full Professor in Design at the Academy of Design (HDK), University of Gothenburg, Sweden. From 2011-16, he was Distinguished Professor in Practice at the University of Southern California, USC (Los Angeles). Since 2011, Miessen has been a guest professor at the post-graduate visual arts program work.master at HEAD (Geneva). From 2011-13, he held a Stiftungsprofessur for Architecture and Critical Spatial Practice at the Städelschule (Frankfurt), was visiting professor at the Hochschule für Gestaltung (Karlsruhe, 2009-11), visiting professor at the Berlage Institute (Rotterdam, 2009-10), and a Unit Master at the Architectural Association (London, 2004-08). He has been a Harvard GSD Fellow in 2010. In 2008, Miessen founded the Winter School Middle East (Dubai, now Kuwait, ongoing). At Studio Miessen, he oversees all projects as principle architect and director. As a writer, Miessen contributes, edits and advises globally, and has delivered articles in newspapers, magazines and books, ranging from academic to scientific to popular culture. He frequently writes for periodicals such as Artforum, Bidoun, Volume, Urban Flux (China), Frieze, 032c, SPEX, Yale Constructs, Domus, Log, Metropolis M, Die Zeit, or Arch+. The initiator of the Participation tetralogy, Miessen’s work revolves around questions of critical spatial practice, institution building, and spatial politics. He is best known for his theory of tactical intervention coined ‘Crossbenching’. He is the author of “Crossbenching” (Sternberg Press & Merve, 2016), “The Nightmare of Participation – Crossbench Praxis as a Mode of Criticality” (Sternberg Press, 2010), which is now available in English, German, Turkish, Chinese, Polish, Italian and Spanish (French and Korean editions forthcoming). In various collaborations, Miessen has edited and published books such as “The Archive as a Productive Space of Conflict” (Sternberg Press, 2015), “Actors, Agents and Attendants – Caring Culture: Art, Architecture, and the Politics of Public Health” (Sternberg Press/ SKOR, 2011), “Waking Up From The Nightmare of Participation” (Expodium, 2011), “When Economies Become Form” (Berlage Institute, 2009), “Institution Building – Artists, Curators, Architects and the Struggle for Space” (Sternberg Press, 2009), “East Coast Europe” (Sternberg Press, 2008), “The Violence of Participation” (Sternberg, 2007), “With/Without –Spatial Products, Practices and Politics in the Middle East” (Bidoun, 2007), “Did Someone Say Participate? An Atlas of Spatial Practice” (MIT Press, 2006) and “Spaces of Uncertainty” (Müller+Busmann, 2002). As an editor, Miessen has advised the boards of Volume (Amsterdam), Bidoun (New York), and Archive journal (Berlin/Turin). Together with Nikolaus Hirsch, Miessen is the editor of the “Critical Spatial Practice” book series at Sternberg Press, which has published authors and artists such as Beatriz Colomina, Keller Easterling, Chantal Mouffe, Eyal Weizman, Felicity Scott, Robert Jan van Pelt, Rabih Mroué, Armin Linke, and Trevor Paglen. As a consultant, Miessen has worked with the Government of Slovenia during Slovenia’s presidency of the EU Council, advised The European Kunsthalle (Cologne), the Dutch Foundation for Art and Public Domain “SKOR” (Amsterdam), the Swiss think tank “WIRE” (Zurich), the Serpentine Gallery (London), the European Commission, and the Kosovo National Gallery. He has researched and proposed government policy for “General Public Agency” (London), and has written policy papers for the think tank for everyday democracy “Demos” (London). Miessen currently also acts as one of the curatorial “attachés” to the Sydney Biennale (2016). This advisory group directly contribute to the broad international conversation informing this exhibition and its public programs. He is a member of the European Cultural Parliament and has been on many academic search commissions including at the University of Luxemburg and the Royal Institute of Art, Stockholm. Apart from multiple international group exhibitions, Miessen’s work has been published and exhibited widely, including at the Venice, Manifesta, Istanbul, Lyon, Gwangju, and Shenzhen Biennials. Miessen has lectured at institutions such as Columbia University (New York), The Vera List Centre for Art and Politics (New York), Cooper Union (New York), MIT (Cambridge), Harvard Graduate School of Design (Cambridge), The Graham Foundation (Chicago), Rice University (Houston), Artspeak (Vancouver), Tijuana Cultural Centre, CCA (Kitakyushu), Artsonje (Seoul), Kuwait Cultural Office, The Third Line (Dubai), Mardin Artuklu University, Palace of Culture and Science (Warsaw), iaspis (Stockholm), Democracy Club (London), NAi (Rotterdam), Jan van Eyck Akademie (Maastricht), Witte de With (Rotterdam), Bauhaus (Weimar), TU Berlin, Künstlerhaus Stuttgart, HDK Gothenburg, Strelka (Moscow), Artissima and GAM (Torino) et al. His work has received numerous awards including from the Flemish Government (Brussels), Stimuleringsfonds voor Architectuur (Amsterdam), Kulturstiftung des Bundes (Berlin), Graham Foundation for Advanced Studies in the Fine Arts (Chicago), the Henry Saxon Snell Prize, and was nominated for the RIBA Silver Medal. In 2008, the British newspaper The Independent listed his book “Did Someone Say Participate” as one of the ten best architecture and design books of all time. In 2015, the Spanish edition of The Nightmare of Participation (published by dpr editorial) was a finalist at the prestigious FAD Pensamiento y Crítica awards. Caulfield, Cauliflower, and other vegetables. MaHKU graduation exhibition, curated by Markus Miessen. From 24 June to 3 July 2016, BAK's exhibition space is one of the venues for the MaHKU graduation show Caulfield, Cauliflower, and other vegetables (A Possible Dialectics On The Politics Of Misunderstanding). Other venues are the Academiegalerie, Minrebroederstraat 16, Utrecht, and the Universiteitsmuseum, Lange Nieuwstaat 106, Utrecht. The MaHKU is the MA trajectory in Fine Art at HKU University of the Arts, Utrecht, and a long time collaboration partner in Learning Place, BAK's platform for education and talent development. Contributions to this exhibition, curated by Markus Miessen, by: Marija Angelovska, Goeun Choi, Stavroulla Gregoriou, Ola Hassanain, Kathy Holowko, Willem Holtrop, Pooja Hukku, Kristina Országhová, KT Rangnick, Constanze Schreiber, Iliana Soriano, Felipe Zapata Zuluaga. CORRESPONDENTS is a project by Stefano De Martino and Karen Lohrmann and lauched in 2009. Set up as a periodical, each issue is produced by one personality or group, on one subject. CORRESPONDENTS is deliberately not a magazine, or a collection of articles. It acts as a free agent, its content determined and uncompromising. There is no relation between the separate issue, other than the fact that they can all relate and invite some sense of exteriority. CORRESPONDENTS is a drop in the ocean of printed matter. The first part of the series "Incertitudes" is a collaboratively developed exhibition by Berlin-based photographer and publisher Andreas Gehrke with architect and writer Markus Miessen. It revisits various spaces and places within the city of Berlin and follows their evolution over the course of the last decade. "Incertitudes“ can be understood as both a retrospective view and a new perspective on the project "Spaces of Uncertainty" by Kenny Cupers and Markus Miessen (Berlin, 2002). It acts as a visual and narrative archive of urban uncertainties. Publication, exhibition and associated project of the 2013 Lisbon Architecture Triennale. Organized by Ben Allen, James Bae, Ricardo Gomes, Shannon Harvey and Adam Michaels. Participants include: Antonas Office (Athens), Studio Miessen (Berlin), studioBasar (Bucharest), Cluster (Cairo), Culturstruction (Dublin), Superpool (Istanbul), Ateliermob (Lisbon), public works with Isaac Marrero-Guillamón (London), Ecosistema Urbano (Madrid), Srdjan Jovanović Weiss / NAO (New York), PioveneFabi with 2A+P/A (Rome), Vapor 324 (São Paulo). Space Station is a spatial and social framework that, continuously and accumulatively, negotiates the relationship between various modes of production, display and its spatial envelope. Consisting of a series of open residencies and public activities, ‘Space Station’ discusses and challenges models of presentation and mediation, whilst promoting the perception of architecture as an active device capable of probing and altering institutional settings and their political conditions. Local show in collaboration with Jan Nauta and Scrap Marshall (POA); cooperation with the Hochschule für Gestaltung Karlsruhe (HfG); Kilian Fabich and Stella-Sophie Seroglou, supervised by Wilfried Kühn, Armin Linke and Markus Miessen. Skills Exchange: Urban Transformation and the Politics of Care. Why not to settle – migrate? Contributors include Stefano Boeri, Franco Rotelli, Pier Aldo Rovatti, Beppe Dall’Acqua, Markus Miessen, Michele Zanetti, Donatello de Mattia, and others. Hosted by Markus Miessen, the symposium invites Erhan Oze, Kai Vöckler and Matthias Görlich to explore the question, 'Content as Signature?' The theme is set against the problem of 'participation' in contemporary planning and design processes. On the occasion of the book launch of What is Critical Spatial Practice?, editors Nikolaus Hirsch and Markus Miessen invite a series of protagonists from the fields of architecture, art, philosophy, and literature, including Beatriz Colomina, Liam Gillick, Aaron Levy, Suhail Malik, Reinhold Martin, Naeem Mohaiemen, Jorge Otero-Pailos, John Rajchman, Dieter Roelstraete, Martha Rosler and Felicity D. Scott to discuss the question of “what, today, can be understood as a critical modality of spatial practice? With Chantal Mouffe, Paul Scheffer, Markus Miessen, Lieven De Cauter, Saskia Sassen and Etienne Balibar. A series of conversations lead by Markus Miessen, injected into the project framework alongside the construction of Maasvlakte 2, Rotterdam, The Netherlands. Joint Action in Architecture – getting political again? Tomislav Medak (Multimedia Institute), Marko Sancanin (Platforma 9.81), Markus Miessen (Studio Miessen), Damon Rich (CUP), and Joseph Grima (Store Front Gallery). Participants: Carin Kuoni, Alenka Suhadolnik, Markus Miessen, Srdjan Jovanovic Weiss, Reinier de Graaf, Marjetica Potrc, Aaron Levy, and Dan Perjovschi.